"Dr. Holubec is a very good doctor, and I would highly recommend him. I received stem cell injections in my knee and Achilles. Before the stem cells, I had 2 ACL and Achilles surgeries. I had almost no cartilage left in my knee, and it would hurt if I played football for longer than an hr and if I stood/sat in one place for long periods of time. The procedure was fairly quick and easy, and I was in almost no pain after the procedure. I had to walk around on crutches the first day due to tightness in my Achilles, but I was walking slowly the next day and walking normally within a week. It has been a little over 3 months now since my procedure and my knee feels a lot better. I do not have any pain while sitting or standing for long periods of time, and I am currently working out to build strength back up in my legs. Dr. Holubec is very easy to get a hold of and very help before and after the procedure. He went above any other doctor I contacted before and answered any and all questions I had. He reached out to me after the procedure on a weekly basis to see how I was doing, what my pain level was, and answer any questions I had. I would strongly recommend using Dr. Holubec to anyone looking to heal physical ailments with stem cells." 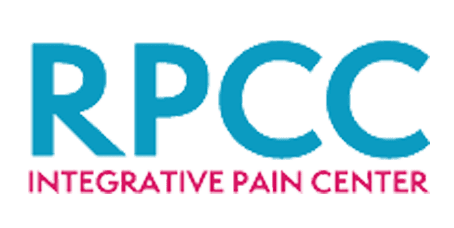 - Karim L.
"I have never given a testimonial in my life, but I wanted to share my experience in hopes that others that suffer with chronic pain may too find relief. I have had an unbelievable experience with Dr. Jerry Holubec. I didn’t think I was asking too much when I sought to live a pain free life. A life where I could walk my son to the park, a life where I could have a good night’s sleep and not wake with sharp pain, a life where I could work (and concentrate on my work) without clouded judgements, a life where I could take a step and not regret it, a life worth living…that is what Dr. Jerry is committed to and is helping me achieve. Dr. Jerry was willing to try what other doctors were not. Dr. Jerry is creative, supportive and smart. But, most of all he is personable. Dr. Jerry performed a stem cell procedure on both of my feet. He not only gave me his personal phone number, but he followed up by calling and texting me DAILY to see how I was doing for many, many days after the procedure. I have had several surgeries with other physicians, but I have never encountered such a personal approach. Dr. Jerry really cares for his patients. My tibial nerve issues near the Achilles heel were hard to diagnose and hard to treat. Dr. Jerry has been not only able to diagnose the issues where other physicians have failed, but treat the issues where other physicians were lacking. I have researched and sought the best physicians and the best surgeons for their particular fields. Over the years, I have seen over a dozen doctors for my condition. Then, I found the right guy. Hands down, Dr. Jerry is my favorite. "I’ve suffered from knee problems for over 20 years. I had multiple arthroscopic surgeries but kept ending up back where I started. I felt my only option would be knee replacement. I decided to live with the pain until Dr. Jerry talked with me about stem cell therapy and I can’t be happier that I went that route. After so many years of constantly suffering when a simple wrong step caused excruciating pain I’m very pleased with the outcome of my stem cell therapy. I only wish I would have done it sooner. The procedure was simple. The positive results began in a short amount of time and my knees continued to feel better as the first few months passed." Al K.